as my theme for the year. Not only is it a pretty word, but it also has lovely connotations. 1. the state of being happy, especially in a high degree; bliss: marital felicity. 4. a skillful faculty: felicity of expression. 5. an instance or display of this: the many felicities of the poem. 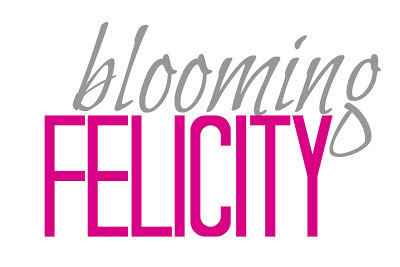 My goal for 2013, is to embrace the felicities of life, in my personal and my blogging life. It is stated that felicity is synonymous with happiness. I want to focus my time and energy on things that make me and my family happy. I want my blog to be a source of felicity, and give my readers happy confidence that they have the ability to create and do, and find their own true felicity in life. I wish for you; A Day of Creative Felicity! pretty picture and pretty word- i like the idea of using one word instead of a list of resolutions - great idea!